WITH THE QUALITY, CREATIVE, EXPERIENCED BUILDER IN WESTERN NC! Mountain Construction is a residential Custom Home Builder local to Boone, Blowing Rock, Banner Elk, Linville, and Lake James, NC. We specialize in New Home Construction, Remodeling and Historic Restoration as well as porches, decks and additions. We are NAHB Certified Green Professionals and have been Building Green since 1985. We have built over 300 projects in Western North Carolina and Eastern Tennessee. As a Design/Build company we have worked with client plan ideas to create blueprints that satisfy our owners' needs. Bring us your ideas! We also work with designers, architects, engineers, sustainable energy consultants and other professionals who can maximize our client services in both the preliminary planning stage and in the construction phase as well. Meet with us to discuss your vision and bring your site ideas and building ideas, as well as any details you are considering. Bring a plat of your property, too. We have helped clients plan their subdivision lots and planned acreage tracts up to several hundred acres. We make every effort in planning to provide value in all of our projects in order to provide the most for the best value. We Are Planners and We Are Builders! We work through design, site planning and complete finish. We also are the regional representative of Hearthstone Timber Frame, SIP, Log, and/or Hybrid (a combination of one building system with another) homes that are visionary and reflect historic integration of building features. We build our clients dreams and stick with our clients to take care of their homes, as often requested, for many years after the home is completed. During the process of site planning and site development, grading, power installation, survey, road and driveway building, engineering, etc., we have worked with various local and state regulators to coordinate the planning and implementation of the many aspects of project planning. Learn more about Mountain Construction and our Building Consultation Services. 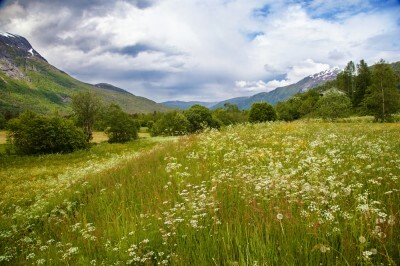 Call or email us now to get started planning your mountain dream home! Select your real estate agent. We can recommend Realtors that we have worked with in the past. We offer Building Consultation Services to assist with your planning and pre-construction needs. One of the services offered is an evaluation of your possible building site. Cost of the land in relation to your overall budget goals. For recommendations, email us with your interests. We are a full service Residential General Contractor with a focus on providing the best value while providing top quality production to meet your vision. Are they licensed? We are licensed in both North Carolina and Tennessee. What is their reputation for quality and creativity? Ask for their references. In addition to our testimonials page, we can provide references upon request. Look at their work. We have many finished homes for you to see by appointment, as well as a diverse collection in our Photo Gallery. How long have they been in business? We started building in 1985, with decades of experience under our belt. Compare/review products, services, quality and the creativity to make your vision a reality. "Decades of Experience in All Things Timber!" Check references. Hearthstone has provided the highest quality of customer service for thousands of satisfied customers. We will gladly provide references upon request. What type of materials are used? Hearthstone offers a wide variety of wood species available in standard or custom sizes, selecting only the highest quality timbers. Most of our homes are white pine, Douglas fir, or oak. But, we’ve worked with recycled or reclaimed timbers of various species, standing dead timbers, cedar, cypress, walnut, hickory, yellow pine, and others. Are full blueprints provided? Hearthstone provides full working blueprints as well as timber engineering (as required by code) as a part of our 'value engineered' home packages. What does the package include? Compare inclusions carefully. Hearthstone provides many materials and services that our competition does not include. We will help our clients understand ALL that is included in our home packages. Check for quality. Hearthstone guarantees our clients' satisfaction with the quality of both our product and our services. Do the logs have a through-bolt system? Hearthstone's through-bolt system provides extra support for logs to reduce shrinkage and twisting of the logs, reducing the long-term maintenance needs of your Hearthstone Log Home. Are the logs Hand-Hewn and dove-tailed or round log detailed? Many log home companies use machine-hewn logs. Hearthstone uses only hand-hewn logs in order to provide the authentic representation of an historic log cabin. All dove-tailing and round log scribing is performed by hand as well. How large are the timbers? At Hearthstone, our standard timbers are 8"x 8". We offer larger and custom sized timbers as well, by request. Delivery date and charges? We will fully review all delivery timelines and charges as we move forward in the process of creating your home. How long have they been in business? Hearthstone has been in business since 1971, serving thousands of satisfied customers. 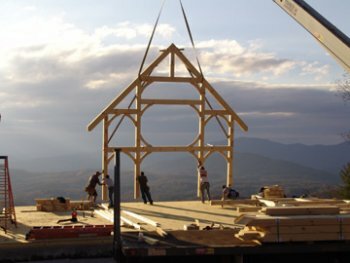 WORKING WITH HEARTHSTONE HOMES: While we often act as general contractor on the Hearthstone Timber Frame, Structural Insulated Panel and Log Homes we manage locally, this is not always the case. We can work with another owner-selected General Contractor, a commercially licensed contractor or in an Owner/Contractor situation. A site plan is to a building site what a blueprint is to a home. Mountain Construction offers Site Plan assistance as one of our Pre-Construction Consultation Services! Well/Septic location or stipulation for water/sewer tap-on location if water/sewer are provided. 1) DIVERSITY OF STYLE: Consider the diversity of the homes we have built in our photo gallery, large and small home projects and some commercial Timber Frame projects. Few builders can demonstrate such diversity of new construction and remodeling projects as we have had the opportunity to provide. 2) STYLE: Mountain Construction has built contemporary mountain homes, historic Linville/Blowing Rock Lodge Style Homes (circa 1900), Adirondack Style homes and provided design features that meet the visions of our clients. 3) PROJECT SIZE/NEW or REMODEL: We have built modest size homes and large homes - Adirondack Style, Timber Frame and Conventional Frame. We have provided whole house remodeling projects throughout the area. One client said, "I have seen your website Photo Gallery and no one else is doing our home!" We have serviced the former Cannon Estate in Blowing Rock, built in 1927, with a full, historic restoration, along with many other projects in Mayview, Grandfather, Banner Elk and surrounding mountain locations. 4) SOME FEATURES we have designed and built into our clients homes: multiple fireplaces, portico's, barns, front stairs, back stairs, elevators, grid tied but with off grid capability, magnificent kitchens, breezeways, outdoor kitchens, massive front doors, 14' mantel pieces, antique wood mantels, hand crafted metal work, many sustainable features such as super insulated SIP homes, GEO Thermal HVAC systems, solar HW systems, timber porches and many other features. 5) ONE OF OUR IMPORTANT DESIGN CONCEPTS, familiar to many architects, is "Using Contrast and a Design Tool." We also focus on the site, site orientation, green value Return On Investment, maintenance and value engineering. Our home "trim out" can vary from rustic "Linville/Blowing Rock Style" to more contemporary "Craftsman Style" that was pioneered by Greene and Greene Architects in the 1930s. Siding options and accents such as poplar bark, cedar shake, pine, etc. Number and size of decks, porches and patios as well as height of these features off the ground. Work with us in a Design/Build capacity. Bring us your ideas! We have been building custom homes in our Northwestern North Carolina and East Tennessee Mountains since 1985--offering full Design/Build Services. We have worked with many client plan ideas to create blueprints that fully satisfy our clients' needs. We have also worked with Architectural Drawings brought to us by our clients. Recommendations for architects are available. What size do you want your home? Engineering is included as required. With a rough plan or drawing and a rough site plan, we can provide a rough estimate. Once the estimate has been reviewed, we can proceed to a full and complete site plan and final blueprints. Our estimates are based on the specifications for your home, built the way you want it built. When the General Contracting estimate and working agreement/contract has been signed, we can begin to pull permits, and start preparing your site for construction. Before construction approval for your plans, many upscale developments, such as The Cliffs, Elk River Club, Grandfather Golf and Country Club, Linville Ridge, Linville and others, call for submission of illustrations of the completed home. We can assist with design detail submission and colorization of rendering if we provide Design Services.